Horticulture is not just farming or growing of plants. It is the science and art of growing vegetables, fruits, medicinal plants, mushrooms, flowers, ornamental plants and herbs in an economically viable way. It also involves design of gardens, conservation of endangered plant species and the reuse of waste land. Horticulture also includes the production of non edible plant products of high economic value. 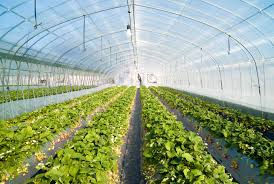 Horticulture deals with the science of cultivation with advanced techniques from the early stage of tissue culture, till the final productivity from the plants. Horticulture can be divided into culture of ornamental and edible plants. Fruit plants: Demands of fruits are increasing day by day. To meet the needs horticulture is extensively used to grow fruit plants throughout the year. Examples include apple, banana, grapes, orange, pears, pineapple etc., according to the climate of the region. Nut Plants: These plants earn a good income to the owner through oil seeds and nuts. Examples include almonds, cashew nuts, peanuts, pistachio, flaxseeds, soyabean, sesame etc. Vegetables: To meet the increasing needs of the vegetables throughout the year Horticulture is practiced. It leads to high yields per square hectare of the land and also the engagement of the labour throughout the year. So the wastage of manpower is minimal. Herbs: Examples include coriander, cumin, dill, fennel, funugreek, garlic, ginger, laurel, marjoram, mint, mustard, nutmeg and mace, onion, oregano, parsley, pepper, poppy seed, rosemary, saffron, sage, savory, sesame, star anise, tarragon, thyme, and turmeric. , anise, basil, capsicums, caraway, cardamom, cinnamon, chervil, clove, etc. Mushroom Culture: Mushrooms are nutritious and have good demands in markets. They are cultivated extensively as a good source of earning. There are many institutes which emphasize on Mushroom culture and also conduct researches to increase its production. White button Mushrooms are most popular in India. Now through the development of technology and increased commercial practices, mushrooms are grown all year long and not only in winters. 1. Phase I composting 6–14 days Compost is prepared in this phase by mixing straw (as substrate), fertilizers, manure, gypsum and water. It is left for some days for the anaerobic microbial action which produces ammonia and CO2. This results in the food ready for the mushrooms, to grow. Compost is rich in nutrients and carbohydrates. The compost is turned in approx every two days and watered. It is stopped once temp reaches 145°F. 2. Phase II composting 7–18 days This step involves the sterilization of the compost to reduce harmful microbes and worms. It can be done by increasing the temp of the compost and is done in environmentally controlled rooms. This process also removes ammonia and carbon dioxide gas produced, as this can hamper the mushroom growth. At the end of this phase the temp of the compost is lowered to around 75°F. 3. Spawning 14–21 days At this stage spawn is added to the prepared bed. Mushrooms are like fruits which grow on the roots like structure called as Mycelium. At temp around 75°F and high humidity, spawn begins to grow forming Mycelium. They form a bed of spawn of white color. Once a spawn colony is developed properly, next step is done. 4. Casing 13–20 days Casing is done by spreading the soil over the fully grown spawn, encasing it. It results in the formation of mushroom pins.Fertilizers and moisture level are increased for the good production. 6. Cropping Done in cycles Mushroom harvesting. From a single culture, mushrooms can be harvested till 45-60 days in cycles. Ventilation is very essential part. It takes approx 15-16 weeks for the completion of entire production cycle. Horticulture of ornamental plants includes generation of new varieties of ornamental plants and flowering plants. Horticultural Societies in India: To set up an autonomous society Government of India came up with National Horticulture Board (NHB) in 1984. This was the major landmark in the awareness and utilization of horticulture sector in India. A National Horticulture Mission was launched in 2005-06 for the growth and spreading awareness about Horticulture. The Mission has been a part of Mission for Integration Development of Horticulture (MIDH) in 2014. Education and Awareness: There is now increasing demand of horticulturists, tissue engineer scientists, and experts from this field, thus now there are many courses available in the universities on Horticulture. Also, more and more farmers have been educated about the modern techniques of Horticulture through, camps, village panchayats, televisions, horticultural societies and organizations, to increase their income. With our unhealthy lifestyles, junk food, increase in stress levels, and no time for exercise diabetes has become common.It is affecting us at a much younger age than earlier. Kids have no time to go outside and play outdoor games and elders have no time to do exercises and no way of avoiding stress. But here is the good news; a person once diagnosed with diabetes can lead a near normal life. So all that is to be done is some lifestyle changes .The most important thing is to lose weight, but you don’t have to lose lots of kilos to start reaping the benefits. Experts say that losing just 5% to 10% of your total body weight can help you lower your blood sugar levels considerably, increasing the insulin sensitivity in the cells, and as well as lower your blood pressure and cholesterol levels. Losing weight and eating healthier have effect on mood, energy levels and also make you feel good and confident about yourself. Regular yoga practice helps in reducing sugar levels in blood as well as other symptoms of diabetes. Stress is one of the major reasons for this disease. It increases the secretion of glucagon in the body which increases blood sugar level. The consistent practice of yoga asana and meditation helps to reduce stress and also to improve the action of insulin. Since we know obesity is one of the major factors responsible for diabetes, to reduce weight Surya Namaskar and Kapal bhati pranayam are some of the most effective yoga poses known. It is almost impossible to imagine today’s healthcare without surgery. Equally impossible is to imagine surgery without anaesthesia. In modern era, the knowledge of patients and public is very limited about anaesthesiology and anaesthesiologist. Role of anaesthesiologist is very important during any kind of surgery. When patient goes to hospital, he will inquire about the surgeon for his surgery, but who will anaesthetize and look after the patient before, during and after the operation? Patient does not know though his life is in hands of anaesthesiologist. It is the role of anaesthesiologist to anaesthetize and take care of the patient. So, whenever patient consults surgeon for his surgery, he must enquire about his anaesthesiologist from him. Indian Society of Anaesthesiologists, the national parent body also instructed the members all over India to arrange public awareness programs, that will make the public aware of the importance of our subject, us and our role. Press and media can also help. People have lot of doubts, misbeliefs, misconceptions and apprehensions about the subject. So, presenting this text for public awareness about anaesthesiology and anaesthesiologist. On October 16, 1846 Dr. William TG Morton used ether for anaesthesia for the first time. He is known as the father of anaesthesiology and every year on the same day, whole world celebrate as World Anaesthesia Day. Today anaesthesiology is a fast growing speciality. There is lot of modernization and development to keep the patients safe during anaesthesia. The mortality rate due to anaesthesia is 1 in 10,000 in developing countries and 1 in 2,00,000 in developed countries. In future there will be further decline in this mortality rate. Anaesthesia related knowledge and information is called anaesthesiology. Controlled unconsciousness is called anaesthesia. There is triad of anaesthesia i.e. sleep, pain relief and relaxation, so that surgeon can operate with ease. This is also called balanced anaesthesia. Many factors influence the effects of the drugs used to provide anaesthesia i.e. age, weight, pregnancy, race, alcohol, tobacco, medication etc. The anaesthesia technique is used depending upon the part of the body to be operated. The patient is thoroughly examined for high blood pressure, diabetes, any other disease related to kidney, liver, heart, respiratory system, nervous system etc., so that anaesthesia technique is chosen accordingly and so are different types of drugs and quantity used during anaesthesia. Side by side during operating period, different monitors are used to examine and control the activities of all parts of the body, so that patients remain safe during and after anaesthesia. Patient should be empty stomach for 3 to 4 hours before operation,so that he may not vomit during surgery/anaesthesia. By anaesthesia technique, any one part of the body or whole body is anaesthetized. Drugs used for anaesthesia are usually safe but some times adverse effects and serious complications can occur. One drug can act differently in different patients. So, it is very difficult to predict about the out come of anaesthesia. The medical person who administers anaesthesia is called anaesthesiologist. After passing MBBS one has to undergo 2 to 3 years course for securing DA (Diploma) or MS/MD (Degree) respectively. Such qualified doctor is called Anaesthesiologist. Many anaesthesiologists are now called super specialists by working for 6 months or more in specific field of anaesthesiology i.e. cardio-vascular throracic, neuro, paediatric, pain relief etc. etc. Inspite of qualified anaesthesiologist, the anaesthetic morbidity and mortality cannot be stopped, reduced and prevented completely but in most cases it can be handled and prevented. Hence anaesthesiology is difficult and dangerous speciality. The anaesthesiologist assesses the risk of the patient undergoing surgery/ anaesthesia and optimizes the patient’s condtion before, during and after surgery/anaesthesia. Nerves carrying the impulses are blocked locally, is called local anaesthesia. In this method the anaesthetic drug is usually injected into the tissues to numb the specific part of the body. In both the methods, the anaesthetic drug is injected with great exactness in the appropriate area of the back resulting in loss of sensation in the lower parts of the body. During local and regional anaesthesia, the patient remains awake or may be given sedatives if needed. Usally the drugs used for local and regional anaesthesia are safe but can react adversally some times and serious complications can occur but if diagnosed in time, they can be prevented and controlled. In this technique the patient remains unconscious by anaesthetic drugs and has no awareness or any sensation. Many drugs are used including anaesthetic gases and vapours. For minor and short duration surgery, the patient is put to sleep by giving injection into vein in the arm or by allowing patient to breath anaesthetic gases and vapours through a face mask. For major and long duration surgery, the anaesthetic gases and vapours are administered into the lungs by a face mask or a rubber/plastic tube introduced into the wind pipe. Sometimes drugs which stop breathing by relaxing muscles are injected, then the anaesthesiologist breathes for patient artificially by pumping oxygen into the lungs manually or by machine. The duration and level of anaesthesia is controlled carefully. After the surgery, the general anaesthesia is terminated by withdrawing anaesthetic agents and administering suitable antidotes. This allows the patient to wake up from anaesthetic state. For genral anaesthesia, special instruments i.e. anaesthesia machine, monitors etc. are used. To- day anaesthesia is much more safe because of new drugs, agents, special equipments and vigilant anaesthesiologist but anaesthetic mishaps can occur. The chances of anaesthetic complications depend upon patient’s health prior to operation and complicated surgery. To help anaesthesiologists to provide the best and safest patient care possible, international and national standards/guidelines have been developed to enhance the safety and quality of anaesthesia. These standards/guidelines along with sophisticated monitoring and anaesthetic equipments as well as improved medications, techniques and vigilant anaesthesiologist, have contributed enormously toward making anaesthesia safer than ever before. Anaesthesiologist’s work place is not only limited to operation theatre but plays a great role in different capacity at different places. He looks after patients before, during and in immediate post operative period. He also takes consent for anaesthesia from patients and relatives. Anaesthesiologist can not refuse for anaesthesia but gives anaesthetic risks and inform patient, relatives and surgeon accordingly. Anaesthesiologists are involved in the care of patients in ICU particularly those who need mechanical ventilation. He also provides training to all category of people in cardio pulmonary brain resuscitation. He manages pain clinic, relieves pain casued by advanced cancer and other non surgical cases. He plays a great role in relieving pain of normal child birth. Anaesthesiologist provides a helping hand in trauma, rescue and disaster management. Anaesthesiolgist also provides his services during ECT, MRI, and CT Scan. Patients select their surgeon for surgery, I hope in coming years, the patients will also choose their anaesthesiologist for anaesthesia. This text is a small effort for public awareness to know about anaesthesiology and anaesthesiologists. In 19th century skyscrapers architect, Louis Sullivan, Promoted “Form Follows Function” which is an overriding percept to architectural design. One concept that has gained momentum is that of “function” in place of Vitruvius “utility”. “Function” came to be seen as encompassing all criteria of the use, perception and enjoyment of a building, not only practical but also aesthetic, psychological and cultural. After learning Surya Namaskar we now proceed to know about other Asanas. In this edition we learn about Padma Sadhana. Padma Sadhana is also known as Lotus Meditation. Padma Sadhana is very gentle but a deep yoga technique. This meditation helps relieve us mentally and physically. Beside its mental and physical benefits, Padma Sadhana is meant for complete body workout.